“The Heart of Worship” by Matt Redman has become one of the most beloved and popular songs among worshippers the world over. 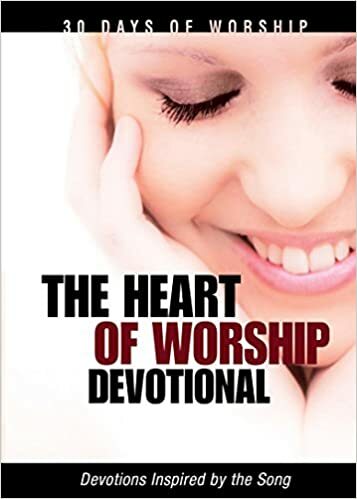 Its very lyrics will inspire and motivate you to seek a closer relationship with God, but this devotional offers you much more—it will take you on a remarkable 30-day journey of worship and devotion that will change your life forever. Examine the song one line at a time, explore the rich themes of what it means to abandon yourself to worship, raise your hands and sing “It’s all about You, Jesus!” Each four-page devotion includes a Scripture, a powerful reflection, and a prayer that will move you ever closer to the heart of God.